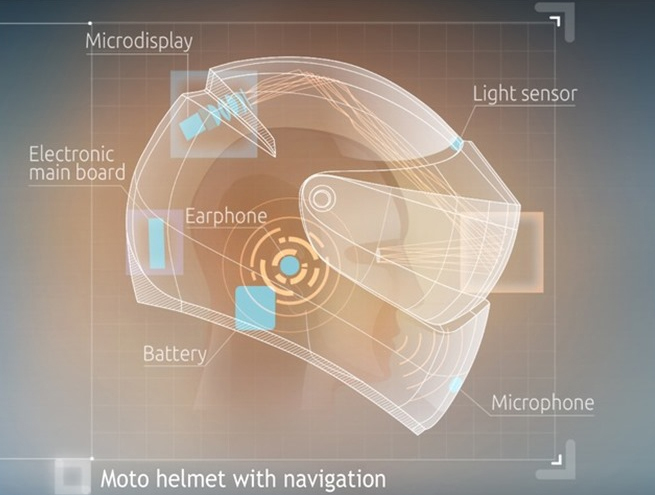 Today in news about incredibly smart, useful technologies comes this: A motorcycle helmet that gives its driver navigation instructions in the visor. As Reuters reports, it was developed by Russian engineers and it’s called LiveMap. The GPS helmet displays navigation instructions directly on the visor, so the motorcyclist never has to take his or her eyes off the road, and it responds to voice control. CEO Andrew Artshchev told Reuters that he was inspired to create the smart helmet by fighter pilot technology. “I learnt about the concept of aviation helmets and decided to create a civil motorcycling helmet on that model, which would show not target detection for pilots, but navigational information, to turn right or left and so on,” he said. The Android-enabled smart helmet goes on sale in the States this summer. It should be available for $2,000 by August. April 2, 2015 in Life, technology, Travels. Why Keralaite are so Proud about their state? Which of the Favors of your Lord would you Deny? ← He is doing, then why Shouldn’t I ? Sir Can I carry 5 KG Fried Beef (Buffalo) in India ?